Total Area: 3730 sq. 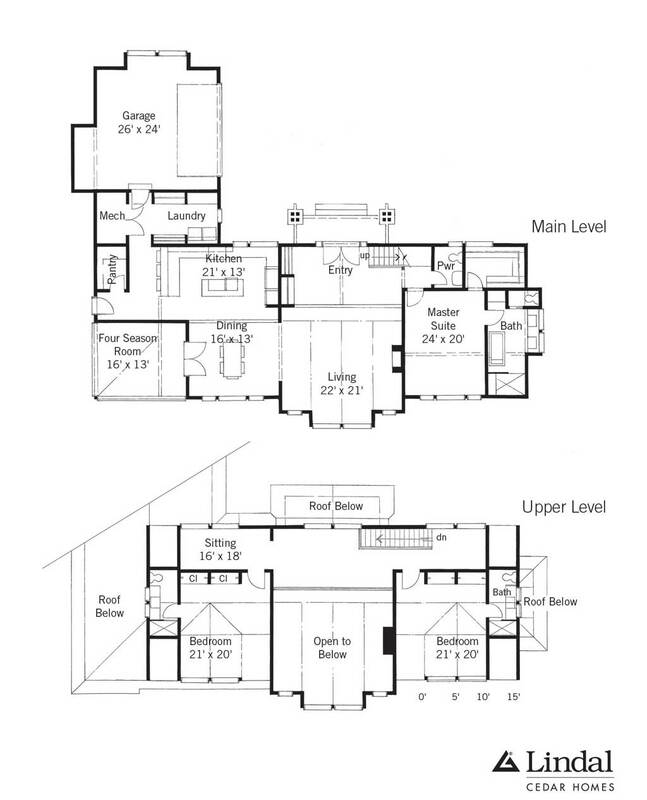 ft.
First Floor: 2370 sq. ft. 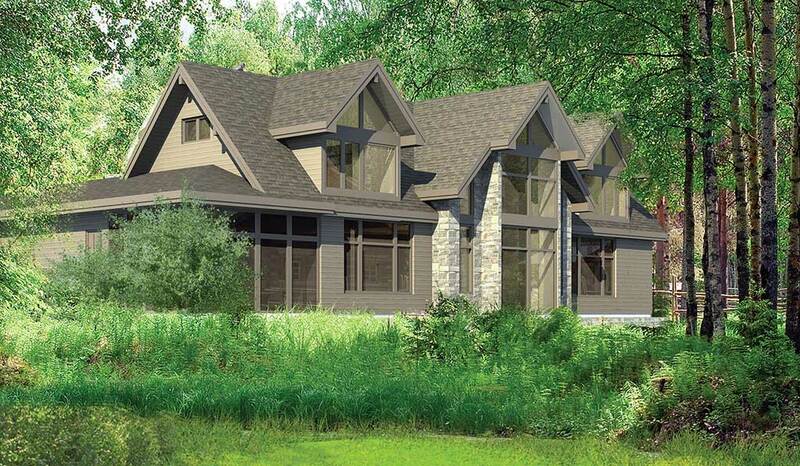 The traditional look of the Creekside Lodge home design is based on one of our most popular homes, the Lakeshore Lodge. In response to customer demand, the sqaure footage of the original floor plan is reduced in this design from 5,700 sq. ft. to a still-generous 3,700 sq. ft. 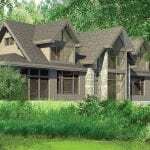 In addition, living spaces are restructured for ease and convenience, without sacrificing the beauty of the original. The kitchen, dining, and living areas as open. A four-season room is included off the dining area. The master suite is located on the main level. Upstairs, the two additional bedrooms include a private sitting area and en suite bathrooms.